Custom Rod Components provides fishing rod-building customers with a wide array of the highest quality fishing rod components from leading brands at competitive prices, offering our customers a great shopping experience with world-class customer service. 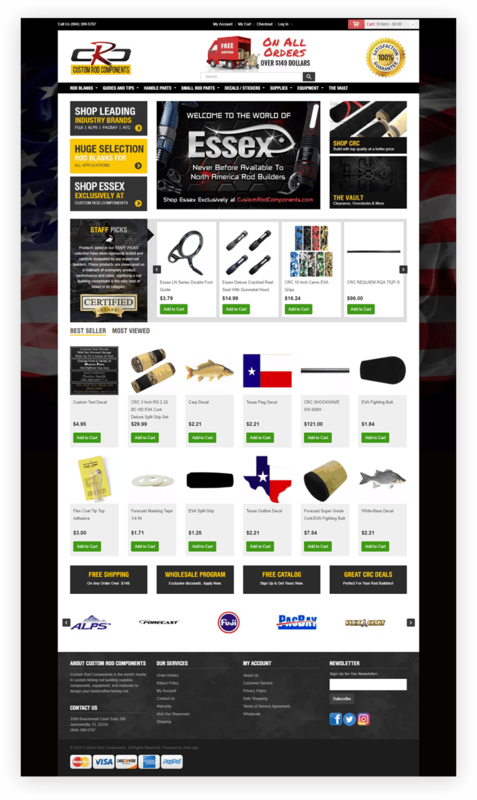 The CRC team has a combined 100+ years of the custom fishing rod, rod-building, and fishing experience which covers the many fishing styles, techniques, and methods rod-builders use across the United States. That expertise and knowledge are directly related to how we interact with our customers. You can rest assured that our team has the ability to answer your question and recommend components that will exceed your expectations regardless of your requirements. We created a new mobile-friendly website design on an eCommerce solution that manages over 5000 products. We integrated the site with an inventory management system that makes it easy for them to mange orders from multiple warehouses to their customers and wholesalers.